If he’s just not that into you didn’t give you the right perspective about break-ups and make-ups, then this book definitely will. for people who have survived a relationship and were dumped, for the ones who are in one but don’t know it’s over and most of for the ones who are ready to love again. 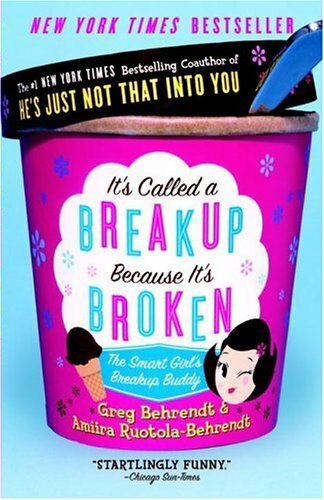 With Behnrendt wife’s on his side and telling her own breakup stories, they are even more hilarious and helpful in filling you up about the real reason why break ups are called break ups!!! Another magnificent and heartfelt book about love, just what we were waiting for!! !